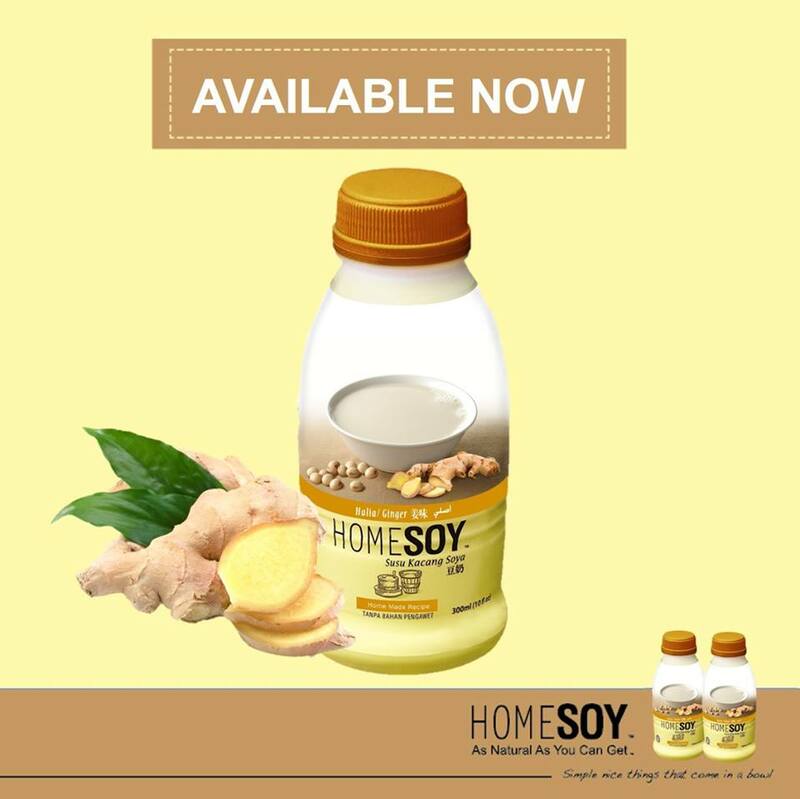 The new Homesoy Ginger variant from Lam Soon Group is now available on retail shelves (300ml and 750ml) in Malaysia. Soybean drink innovations in Malaysia have in the past focused on the sugar content, flavour and ingredients. 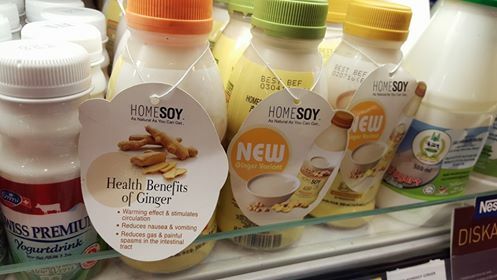 Among them are soybean drink in brown sugar, soybean drink with corn flavour, soybean beverage with basil seeds, GMO-free soybean and made with Canadian soybeans. The ginger variant is very interesting. Ginger is usually found in packaged tea beverages such as Teh Halia (ginger tea) in powdered form. – Reduces gas and painful spasms in the intestinal tract. One thing ginger is also good at is a pain relief for primary dysmenorrhea, or painful menstrual cramps. This positioning has been used by Indonesia’s OT Group to promote its Kiranti Sehat Datang Bulan, a drink with ginger to regulate menstruation and alleviate the problems related to it. A similar positioning can be used to market ginger soybean for women suffering from painful menstrual cramps with the addition of active ingredients.